Book Corner: An Interview with Toby Clements – History… the interesting bits! Myself and Jayne Smith interviewed Toby Clements for The Review. Toby Clements has kindly offered a signed copy of his book for a lucky winner. Just leave a comment at the bottom of the blog or on our Facebook page. The winner will be drawn on 12th November. While at the Harrogate History Festival Jayne and I tried to grab a couple of writers to do exclusive interviews for the Review Blog. Unfortunately, Toby Clements was always busy with panels, preparing to interview Stephen Church about King John – or on a really long bike ride. So we jotted the questions down and Toby was kind enough to reply by email. 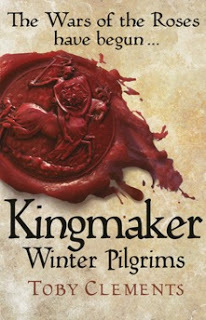 Writing about the Wars of the Roses, Toby Clements’ first book in the Kingmaker series, Winter Pilgrims, earned him a place among the 5 finalists for the 2015 Historical Writers’ Association Crown for Debut Historical Fiction. The second book in the trilogy, Broken Faith, is out now and Mr Clements is working on book 3 as I write. What made you start writing? It is a terrible cliché and I am only telling you because it is quite funny, but I was always telling stories as a child, only I had a weird stammer, so that I se-e-ed things like tha-at, and I used to tell my older brother these terrible bedtime stories based on us having watched the HG Wells Time Machine film together with my father who described the Morlocks as ‘hairy buggers’ – it was the 1970s, so that was OK then – and so my early stories were all about the Hairy Buggers, told to my brother, punctuated by his six-year-old’s snores on the bunk bed above. After a while my mother suggested I write them down because I was getting pretty tired trying to stay awake to finish them. Who are your major writing influences? I am a HUGE fan of Hilary Mantel’s writing, but also of Bernard Cornwell’s plots, so my literary influence would be an imaginary son/daughter of theirs. What first got you interested in writing history? Another terrible cliché: two enthusiastic teachers at my primary school: Colin Stoupe and Hugh Fairey, to whom I owe great thanks. What made you choose a monk and a nun as your central characters? I wanted someone who would perhaps know nothing of the politics of the 15th Century world, and so could ask the right questions at the right time without me shoe-horning in a load of random exposition, and who could see things afresh and react to them, rather than that world being so ordinary they would not bother to describe it. That I have two heroes is a chance quirk of researching fate. Who do you think is your best character? Who is your personal favourite? And why? Katherine is the greatest, because she always knows exactly what to do, even if her choices are often very hard. Thomas is more like me: a bit bumbling, just sort of going along for as quiet a life as possible. He is pretty affable, and doesn’t bother to say much, but when he knows what he is supposed to be doing, he is pretty good at it. What comes first, the storyline or the research? I change my mind about this every month. At the beginning it is all accuracy – a la Hilary Mantel – but as the month wears on and the money gets tight, I start to think this is a luxury I can’t really afford. One look at the bestseller charts will tell you which the readers prefer. Which do you find easiest to develop, the plot or the characters? I struggle with plot, I suppose. My characters are all quite modest and ordinary, so they come quite easily. Do you know how the book is going to end when you start it? Kind of. I know I have to get them somewhere at such and such a time, and the known history acts as a series of pegs on which to hang the skein of their adventures, so that is pretty easy to map out. As to who dies and who falls in love, and so on… yes, I think I do, but am open to changing my mind. How do you approach your writing day? I am at my desk by 8.30 and just try to bash away while I can. Sometimes I have to go off and do other jobs – I review books and am a sort of jobbing carpenter – but if I am at home, I try to chug through until about 6. Sometimes I get a load done, sometimes not much. It varies because I don’t really plan my writing very well in advance. If Ridley Scott was to approach you to make a film of your books, who would you want to play Thomas and Katherine? I honestly don’t know. I don’t watch enough films or telly, really. Sorry. Have you ever changed your mind about killing off a character? I have, but no one major, and each time I am damn glad I did. A dead character is no use whatsoever. In Winter Pilgrims I had Sir John die at the battle of Towton, ‘unobserved during that afternoon’ but my editor insisted that was too sad, so Katherine saved his life with some revolutionary brain surgery. What is next in the pipeline, after the Kingmaker Trilogy? I have one more novel to write set in the Wars of the Roses, but this will be a more complex piece, from multiple points of view, and more of a political novel than a fighting novel. After that I have a slight idea for another series, but I am not sure how commercial it will prove, so it may never see the light of day. We shall see. Which other periods of history would you like to write about? I don’t have another period about which I am so interested, so I think it will be close to the 15th Century or maybe it will be a little later. I don’t want to choose another just because I have to. In a way I’d rather stop writing than it become something I must do. 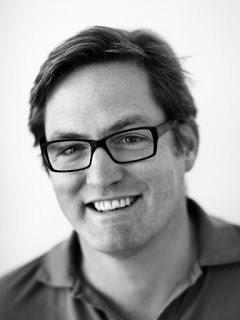 A huge ‘thank you’ to Toby Clements for answering our questions! You can find Toby Clements on his pinterest page and his books are available on Amazon. 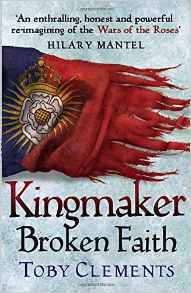 Pingback: Book Corner: Kingdom Come by Toby Clements – History… the interesting bits!